WELLINGTON – New Zealanders want more public service, and they are not afraid to tax more people to get them. On May 10th the largest union in New Zealand, the Council of Trade Unions (CTU), issued a press release regarding the results of their recently commissioned poll and their subsequent submission to the government appointed Tax Working Group. The Tax Working Group was formed by the new Labour-led government to determine what new tax measures New Zealand should implement into the future. The recommendations of the Group will form the basis of the Labour Party’s campaign platform into the next election. According to the CTU, New Zealanders are supportive of new taxes being levied in order to fund more public services in the country. 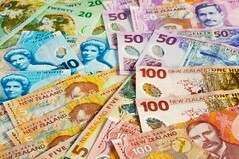 The survey indicated that approximately 65 percent of New Zealanders back the idea of enacting new or higher taxes, with a majority claiming that top-earners do not pay enough tax, while 66 percent supported the potential introduction of a new top-tax bracket. Further, 93 percent of New Zealanders wanted more taxes to be paid by polluting businesses, 90 percent wanted more tax to be paid by large multinational companies, and more than half wanted more taxes to be levied on the profits derived from the sale of investment properties.